These anti-vibration gloves are constructed of top quality genuine leather plus our exclusive Visco-Elastic Polyurethane Polymer (V.E.E.P.) gel inserts. AV gloves with V.E.P.P. are recognized as essential protection for the professional tradesman and craftsman. 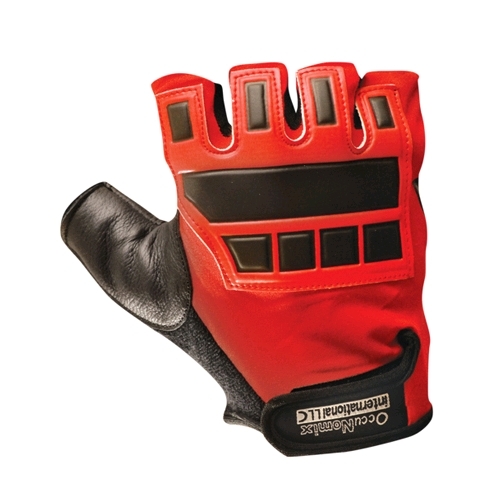 These gloves effectively dampen and attenuate harmful vibrations, they shield, absorb and dissipate repeated impacts and shocks, and they reduce risk of white finger syndrome. Popular, general purpose, comfortable design, features V.E.P.P. gel inserts that are generously positioned in palm, index finger and full thumb. Padding protects back of hands from impacts and shocks. Optimally suited for: medium to high impact tolls, power tools, general industry and this design used by professional truck drivers and motor biking.